Some things never go out of style. However, you don’t have to plan your wedding exclusively around long standing traditions. There’s nothing wrong with incorporating some popular wedding trends into your big day. Here are some of the trends which are most likely to burst into life in the next year or so. There has been a general societal trend towards casual favourites over the last few years. This has slowly crept into the world of weddings. The days of having to have your wedding in a formal setting are gone. Now, many couples are choosing to have their weddings in restaurants or pubs that they love. Consider choosing an old favourite as a wedding venue – especially if it had a formative role in your relationship. Plants don’t just have to be in the bouquet. You can incorporate flowers and plants into almost any aspect of your wedding. What about a living bar? Place cut foliage within a latticework frontage to have a bar that seems to be teeming with life. You could also spread verdancy down the aisle with potted plants along its length. Having a band or a DJ isn’t enough anymore for some people. The newest wedding trends are to have a wider range of entertainers. You could have a sketch artist move through your reception, or a tarot card reader. You could even have a magician doing tricks for your guests. What matters is having entertainers who suit you and your guests. Marking where everyone has to sit is a boring chore. Or, it used to be. Now, you could make your place markers into a creative expression of your personality. Create a themed wall that marks where all the guests have to sit, and match your place cards to it. You could even have cakes or sweets made with your guests’ names on. It has long been a tradition to set up a registry or wish list of gifts you would like for your wedding. However, many couples are now choosing a more prosaic option. Why not choose to ask your guests for money? This might have been considered vulgar in the past, but now it is becoming increasingly acceptable. 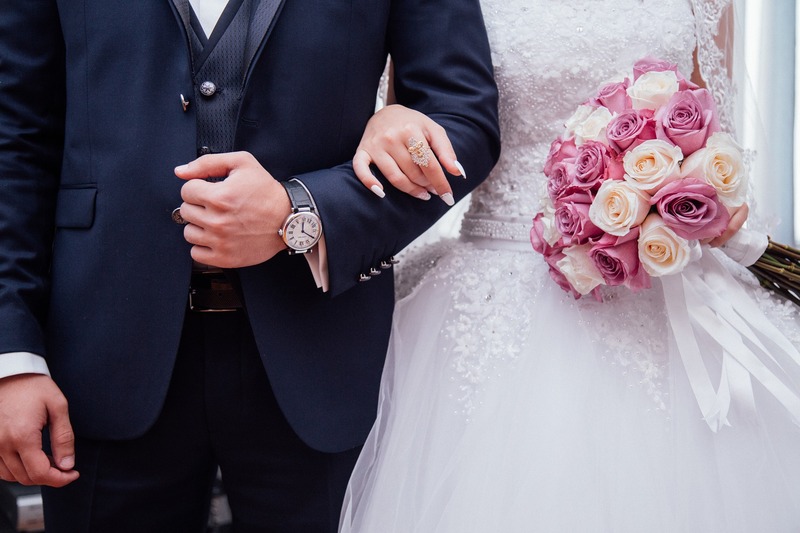 Wedding Insurance Solutions can cover your special day, whatever wedding trends you choose to follow. With cover from only £25, you can protect your wedding day for a price that suits you.